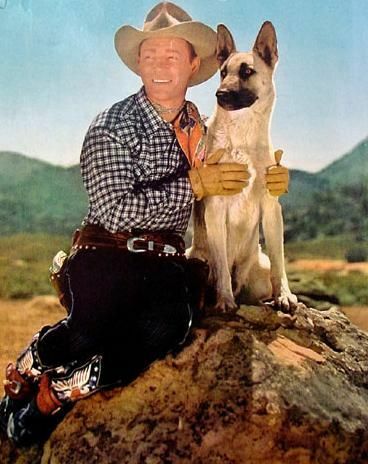 For six television seasons (1951-1957) and 100 episodes of the Roy Rogers Show, Bullet, the Wonder Dog did everything a good dog should do, and then some. He alerted Roy when bad guys came near and he chased them when necessary, stepped in to rescue the show’s stars, Roy Rogers and Dale Evans, when they needed help. Bullet was fast enough to keep up with camera shots of Roy galloping on Trigger in pursuit of something, and he was smart enough to help Roy and Dale when they were in a fix. When not performing, Bullet lived a fine life as a member of Roy and Dale’s family. Website designed by DrCPWagner Ventures, LLC, ©2019, All rights reserved.